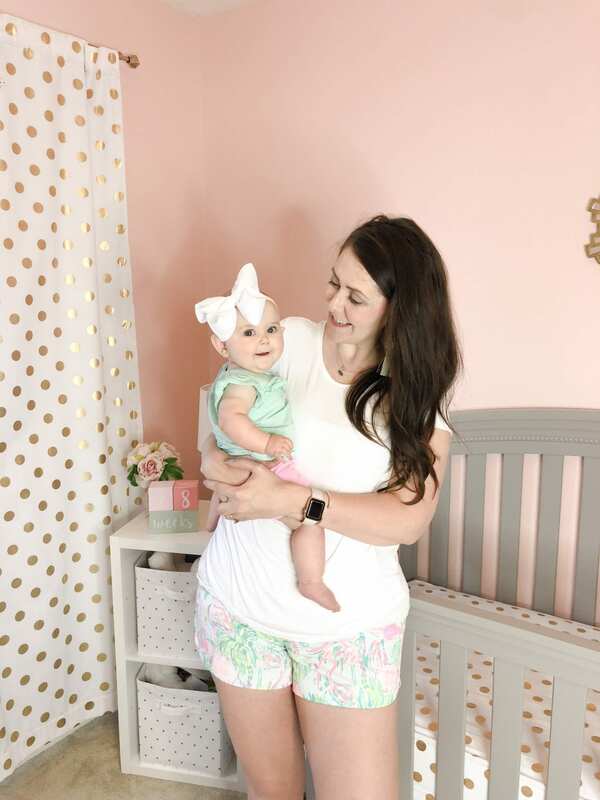 I’m so excited to finally be sharing Karoline’s nursery reveal with y’all today! 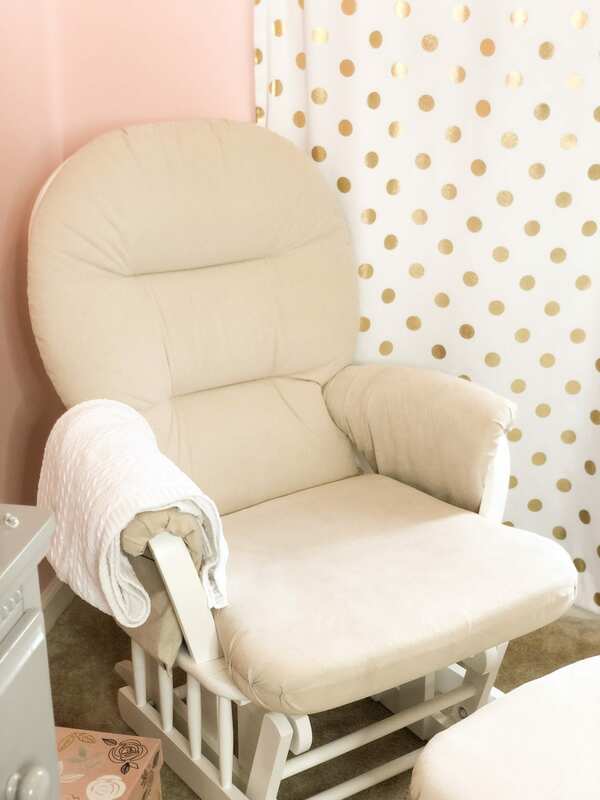 From pretty early on in my pregnancy, I had a vision of what I wanted her nursery to look like. I’m so happy that everything came together exactly the way I wanted it to. 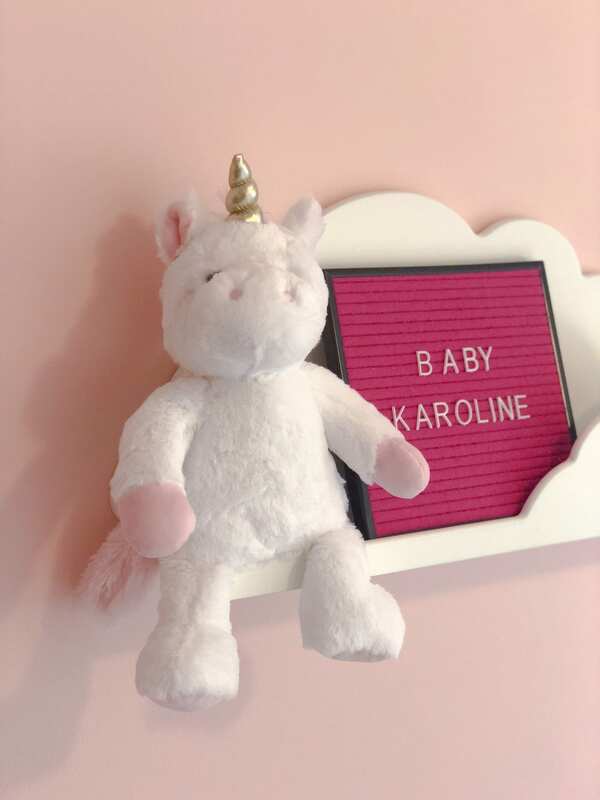 We completed most of Karoline’s pink, gray, and gold nursery with a whimsical touch last minute the weekend before she was born. While I’d had the furniture for a while, we made a made a mad dash through Target supermarket sweeps style to get everything we needed. 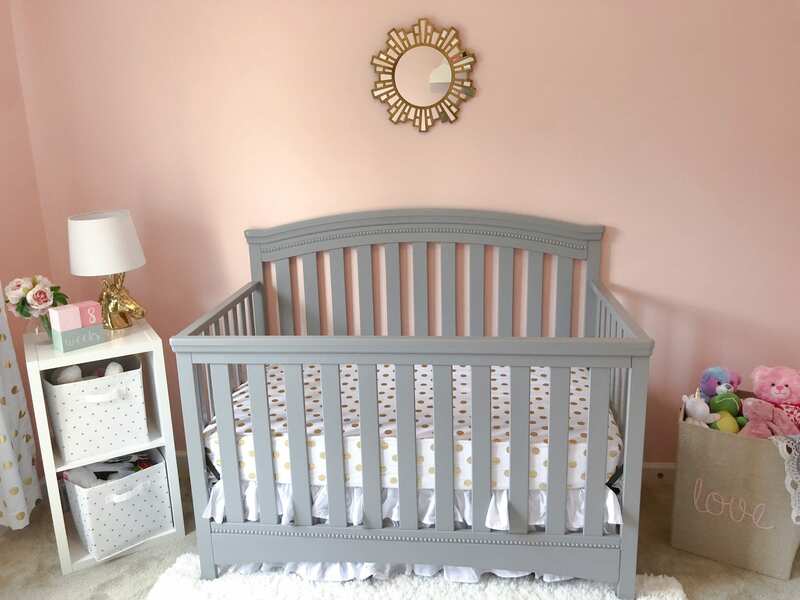 With Kane, we had a white crib, but I wanted a gray crib for Karoline. This one from Delta Children has beautiful details at a great price. 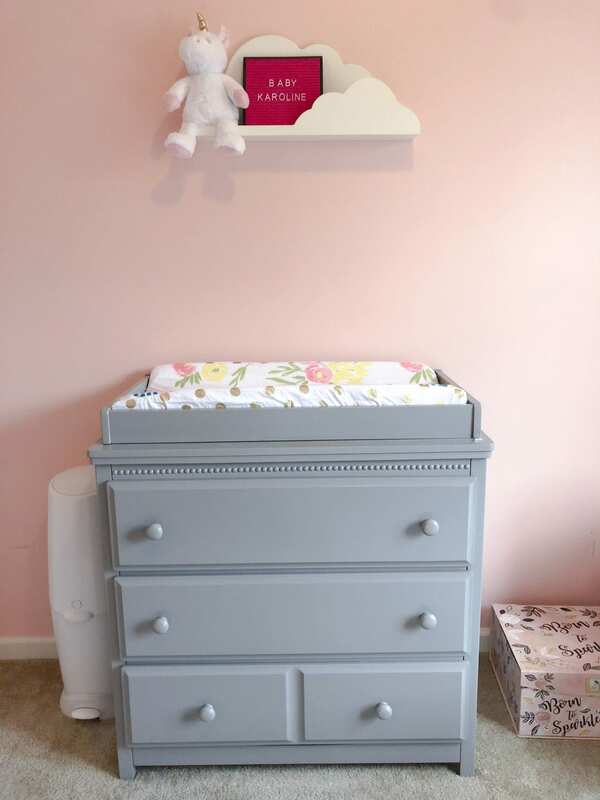 I also wanted a changing table on top of a dressing this time, as opposed to a changing table with just shelves underneath. The changing table top pops off of this dresser, which means I can use it long after Karoline is out of diapers. Plus, it gives us extra storage space. Our glider and ottoman are carried over from Kane’s room. I’m glad we got a neutral one that I could reuse, and it’s a good fit for a small space. The rug was one of our last minute purchases. We were looking for something soft in white/cream to brighten up the room. 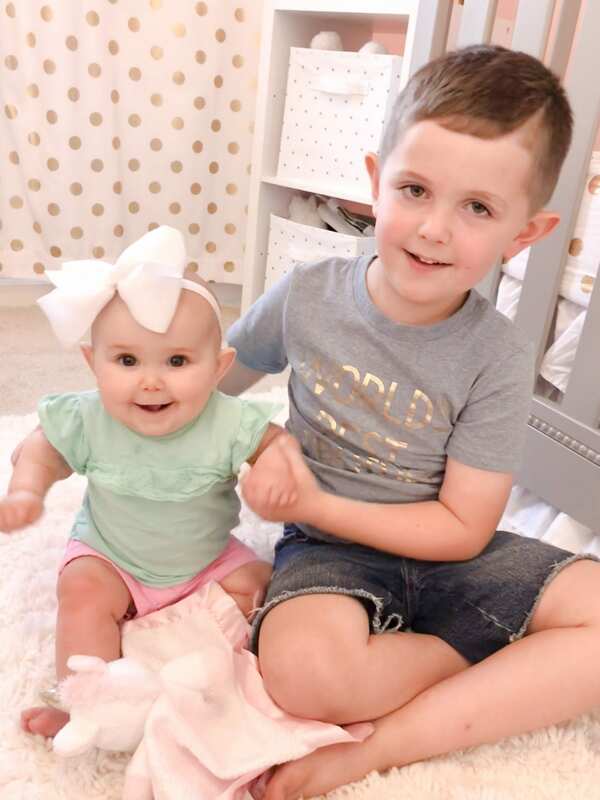 This fit the bill, and has been so cute for her weekly and monthly pictures with age blocks. I knew I wanted some storage for toys but also needed a table of some sort, so I opted for this 2-cube organizer shelf. It’s the perfect table height but, once again, has double functionality. 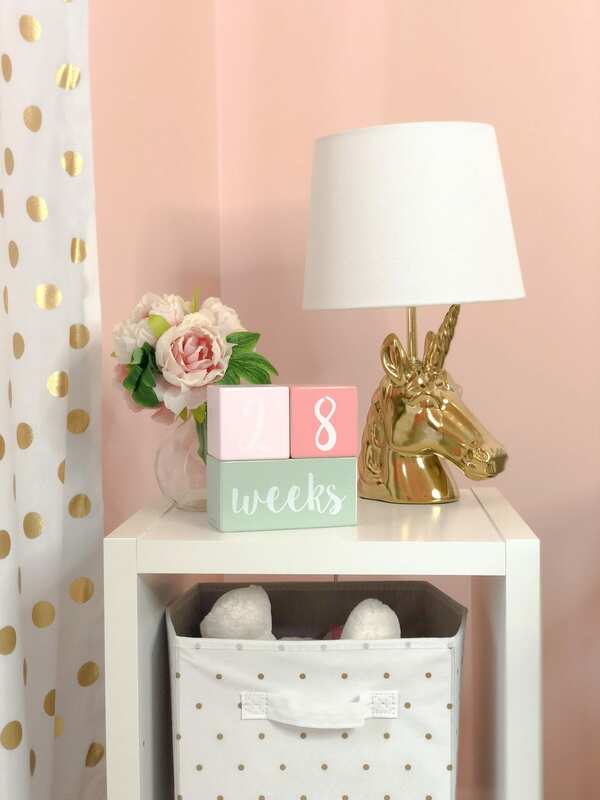 I love that the unicorn lamp and flowers fit, along with our age blocks that we use for pics. Our hamper was a Babies ‘R Us find. While I don’t use it for dirty clothes, it’s been a good home for extra stuffed animals. 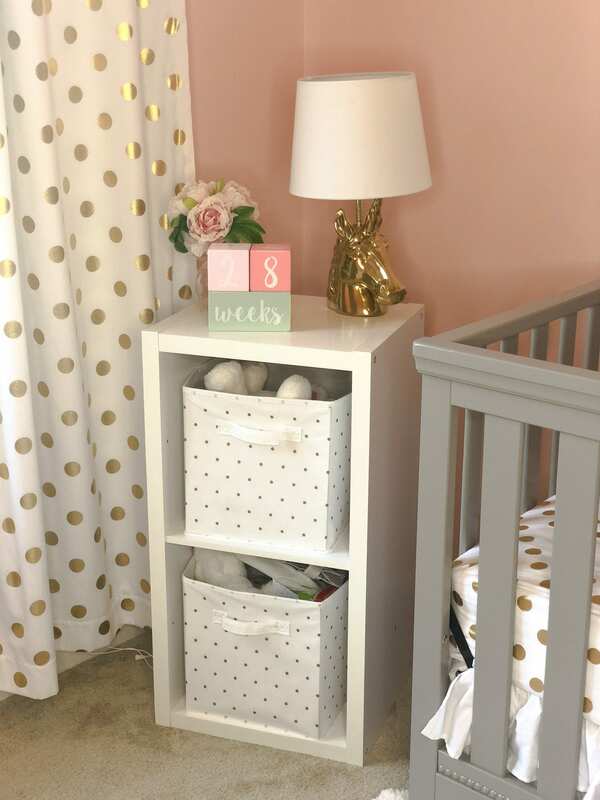 For her curtains, crib sheet, and changing pad cover, I went for the white with gold polka dots pattern. It’s so classy, and looks great with the gray and pink. As a reminder, your curtains should always be 84″+. . .never opt for the short curtains unless you have something underneath the window that the curtains can’t go over/cover up. 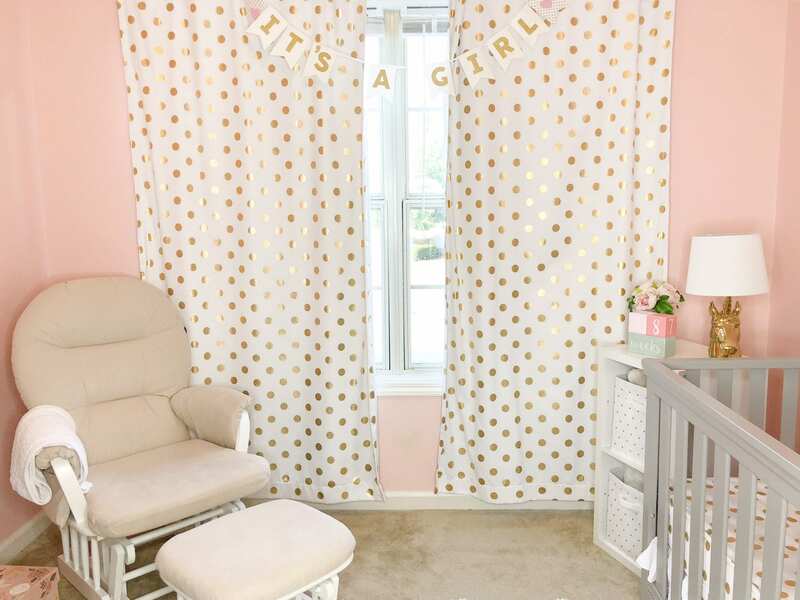 I draped the “It’s a girl” felt banner over it from one of Karoline’s baby showers. Oh, I just about forgot, but the color on the walls is Sherwin Williams Comical Coral. I wanted something a little different than baby pink. This pink has a slightly warmer hue but isn’t orangey. This is so cute! And gosh girl she is your twin! It looks so pretty! 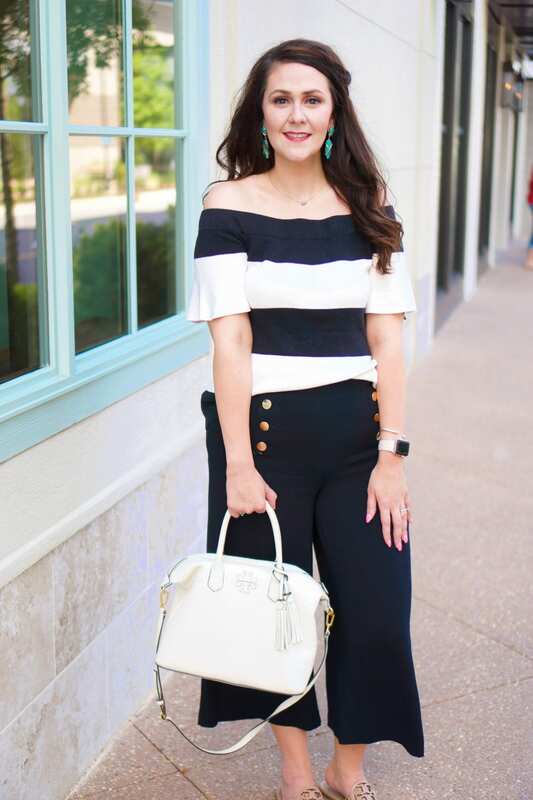 I love the embroidery hoops, especially the flamingos!